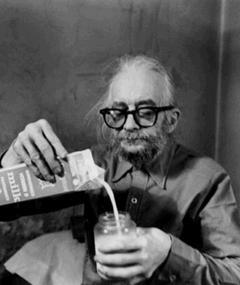 Naropa University FREE Audio Archives Featuring Harry Smith, Allen Ginsberg Et Cetera – Zero Equals Two! “The Naropa University Archive Project is preserving and providing access to over 5000 hours of recordings made at Naropa University in Boulder, Colorado. The library was developed under the auspices of the Jack Kerouac School of Disembodied Poetics (the university’s Department of Writing and Poetics) founded in 1974 by poets Anne Waldman and Allen Ginsberg. It contains readings, lectures, performances, seminars, panels and workshops conducted at Naropa by many of the leading figures of the U.S.literary avant-garde. “The collection represents several generations of artists who have contributed to aesthetic and cultural change in the postmodern era. The Naropa University Archive Project seeks to enhance appreciation and understanding of post-World War II American literature and its role in social change, cultural criticism, and the literary arts through widespread dissemination of the actual voices of the poets and writers of this period. Current interest in Oriental religions, environmentalism, political activism, ethnic studies, and women’s consciousness is directly indebted to the work of these New American Poets, writers and musicians.